Don’t you hate it when those lifestyle guru-types tell you about the meals they threw together from their leftovers, which just happen to be in tip-top shape, chromatically balanced, and Instagram-perfect. In real life, or at least mine, leftovers are a lot of Let’s Never Speak About That Again, the best of intentions cut short by poor planning, the now shamed and guilt-ridden humans responsible for the disgrace vowing to do better by that murky bag of herbs and liquefied cucumber next time. But not last week. Last week, on January 1st, I made David Chang’s Bo Ssam, something I do once a year or so when I want to make a jaw-dropping feast for a crowd with exactly three ingredients (pork shoulder, salt, sugar) even a person living through the aftereffects of an evening of daquiris can handle. Of course, because most three-ingredient recipes are a lie, there are a few other things you make to serve with it: a Ssam sauce (it’s like a vinaigrette), a ginger-scallion sauce (a riff on the classic Cantonese sauce), rice, and I always like to serve it with marinated julienned carrots and thinly sliced cucumbers so needless to say, these leftovers were well above-average. Bo Ssam makes a lot; we ate it on the 1st, the 2nd, and the 3rd before we were finally out of pork, but I still had a smidge left of everything else so for lunch on that 4th day of the year, I put it all in a bowl and topped it with a crispy fried egg. But first, I crisped the rice. The world of crisped, stuck-pot, scorched, fried, bimbimbap-ed, tahdig-ed and socarrat rice is vast and nuanced and fascinating and I’m not going to even try to do it justice here, but what they all have in common, what they all know, is that cooked rice that’s been allowed to crisp is a glorious thing. My favorite — short-grain brown or white rice — is particularly good at this, starchy and thick enough to be both crackly edged and tender-centered in a single grain. (What a showoff.) It, apparently, smells like popcorn when you cook it. I have told every single person I’ve seen or spoken to since about how amazing this lunch was (their eyes mostly glazed over, it’s fine, I understand) and now it’s your turn. I’ve tried to pare it down to just the most essential parts — crispy rice, a crispy egg, and a ginger-scallion-sauce-meets-vinaigrette — plus whatever crunchy or leftover vegetables you have around. I hope it becomes your new favorite 2019 meal, too. I make this with cucumbers and carrots because it’s what I have around most often, but I think this could be good with many other vegetables, even leftovers, so go ahead, clean out your fridge before it gets terrible. If you have extra time, I like to toss the carrots with 2 tablespoons each rice vinegar and water, 1/2 teaspoon sugar, 1/2 teaspoon fine sea salt to coat the strands. They begin to marinate/gently pickle while you do everything else. But the dressing is sufficient to flavor them if you’re in more of a rush. While this is best with leftover rice, cold from the fridge, I made some fresh and cooled it to almost room temperature and it was, in fact, almost perfect (and it crisps faster). I really like the starchiness of short-grain white and brown rice here; I did not test this with long-grain rice but have crisped longer-grain rice in other recipes with success. This recipe presumes 3/4 cup cooked rice per person; adjust it to your preferred serving size, if this is not it. 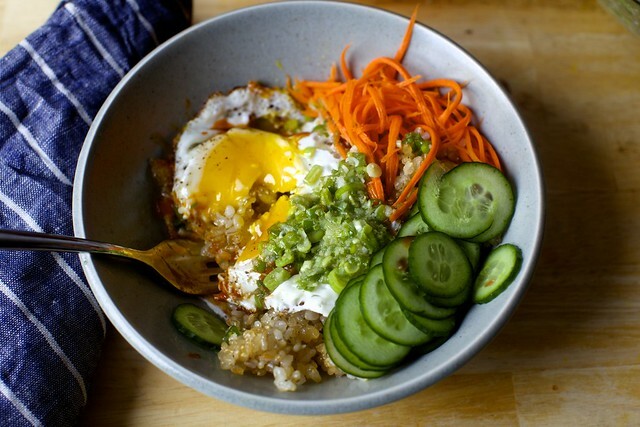 This recipe has many things in common with dolsot bibimbap, which is served in a sizzling stone bowl that crisps the rice, and is often with a raw egg (which cooks in the hot rice) or meat, and fresh and pickled vegetables — although this is in no way intended as what would be a very lazy imitation. But if you love the flavors of bimbimbap, you will definitely like what’s happening in this fridge-scavenged hybrid recipe. This looks amazing – all I want to eat in 2019 is a rice bowl, ideally topped with fried egg and fish. 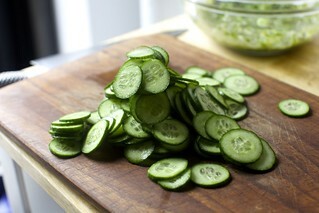 I’m making something similar tomorrow night with pickled radishes and ginger – YUM! Are there supposed to be 4 tablespoons of ginger total, or is that a typo? Whoops, typo, now fixed. Thanks. What pan did you use for your rice? I just got this one. I usually keep one nonstick around and we destroyed our last one; it’s no longer available. Thought I’d try a white surface this time. The instruction manual is bonkers; we ignored it. I really don’t like crispy fried eggs, but this dish sounds wonderful, even to me. Thinking a poached egg would work better for me. I did this with a poached egg last night and it was wonderful! When this crossed my IG feed I initially thought you’d made bibimbap. Still looks delicious, and I am gratified that Francis Lam makes ginger-scallion sauce the same way I have for my entire adult life. This is Bibimbap adjacent and I’m very into it! Also any excuse to eat ohso many crispy eggs! It is like a homemade, easy bibimbap! I can’t wait to make it. I am going to make this and throw in some stir fried snow peas (or they may be sugar snap peas) that we got in the bargain room of the Berkeley Bowl. This looks so tasty! Thanks for the inspiration! This looks SO good, but is also the cruelest thing to post while I’m preggers (I dream about runny yolks and would break the rules if the FDA were fully functional these days). As long as your eggs are already pasturized, runny yolks are usually a-ok.
40 weeks exactly over here and my kid is made up entirely of runny eggs, kombucha, and soft cheeses. You have to do what you feel comfortable with, but I am a mother of three and never gave up eating running yolks during my pregnancies. I’m feeling so conflicted over this! 11 weeks and a runny egg lover. My eggs come from my own chickens in my back yard…I know they are all healthy so I should be good, right? Ugh…I might just scramble the egg for my bowl! Can you (or have you) have your chickens vaccinated for salmonella? You could also talk to your get about their risks. Buy vaccines are what they do in the UK and their eggs are safe for pregnant women. We don’t do it in the US because someone decided washing (and recalling…) was cheaper. I completely understand that discomfort. My girl is 8 months and I dont regret avoiding the things that made me worry. If I worry, I wont enjoy it, and that completely defeats the purpose! This sounds like a great way to use my leftover brown rice from takeout Chinese food. I make some version of this for breakfast/ lunch/ dinner on the regular because runny egg + rice is my number one comfort food and I always have random veggies kicking around. Pro tip: top this off with your Obsessively Good Avocado and Cucumber Salad and watch 2 obsessions become 1. That sounds delicious, thanks for the suggestion! I have had type 1 diabetes for 30 years and eat most anything. I am curious what you are looking for in a diabetic cookbook? This looks lovely. Rice is the only food I am nervous about cooling and reheating – I was always taught to eat any leftovers cold as reheating it can be dangerous. Do you just make sure it’s thoroughly heated? Thanks. If reheating is dangerous half of Asia would be dead by now. Last night’s rice will be fine so long as it kept cool. Off rice has a peculiar sour smell that you will be able to detect once you heat it up, it should be markedly different to its previous incarnation. The rice issue isn’t a result of cooling and reheating – the issue arises from keeping rice standing at room temperature (or lukewarm) for long periods of time. Spores in raw rice can survive after cooking, and allow bacteria to flourish. At room temperature/lukewarm temperatures, given enough time, the bacteria can produce toxins that will give you a nasty GI bug. The solution is to avoid leaving rice standing at room temperature and cool it quickly/properly if keeping left-overs, and exercise caution with reheating take-out because you don’t know how it’s been stored/heated etc. before getting to you. My new favorite rice bowl! Now a have to try the Bo Ssam. For pickling the carrots are you using rice wine or rice wine vinegar? Can’t wait to make this! The ingredients say rice wine vinegar, no? Well, based on that picture of Anna, we all know what tiny Deb basically looked like (which is to say, adorable). 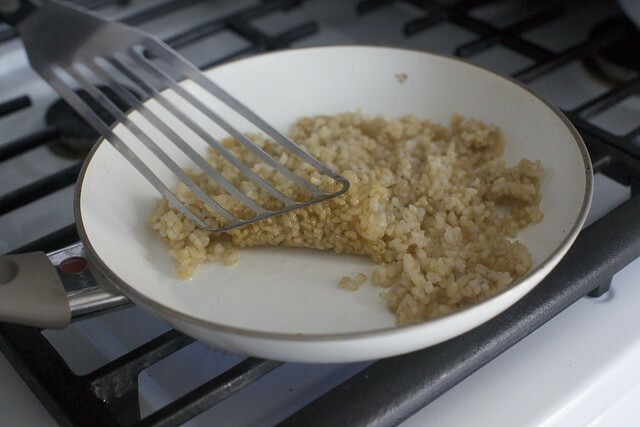 Lately, I’ve been crisping rice for fried rice using a similar method this because it’s the only way my sad, not very hot stove will crisp anything. Add an avocado and youve basically made my dream meal…convenient, since I fall into the category of people who can never make the right amount of grains. This looks great! I love crispy rice but everyone thinks I’m crazy. 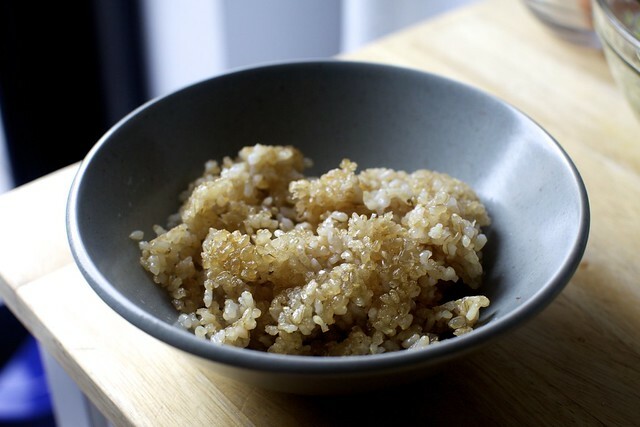 I will brown butter just to use for crispy rice, so good. And omg yes that New York Times article – whenever a recipe says prep will take 10 minutes but I need to pick and chop up thyme leaves I want to die. Rice crisped in brown butter is one of the best things ever. The article “Never Cook At Home” encompasses my feels, too! Good one, Deb! Thank you for (always) being real! I just threw out a liquefied cucumber today and I’m glad to know I’m not the only one. And thank you for your many recipes with eggs. We got chicks last spring and, now that they are all laying, have eggs coming out of our ears. (The hens would have appreciated the cuke, if I had noticed it in time.) So I’m working my way through all of your egg-on-top dinners. The kids will eat anything with rice, so this is a win-win. Deb, would you please share the brand of the carrot julienning tool? Mine is terrible. Yes! Wow I didn’t know there was a tool! I always use my mandolin, which is fine, but that looks even easier. I wanted to ask the same question!! You said it! That tool looks like a great one. I have to make this dish too. I have this one. There are definitely cheaper ones out there — and ones that are less likely to cause you harm when you reach into a drawer if its cap is not on (spoiler: I lost mine years ago) but this one has held up best for 6 to 7 years now and I honestly think I just lost the one I had before, it didn’t break or anything. Wow! Works like a dream! Thanks! This looks delicious, but why is the amount of oil for the dressing specified in the instructions but not the ingredient list? Amounts are given for all other ingredients. Thanks. Because I use the oil a few times, I thought it might be weird to write 1/4 cup plus 1 to 2 tablespoons (for crisping the recipe) plus another 1 to 2 tablespoons (for frying eggs), as needed. etc. Open to suggestions! Made this tonight – so easy and so good. Added sautéed mushrooms in sesame oil. Love the crispy brown rice! FYI I think it’s typically spelled dolsot not dolcet (at least from what I’ve seen in Socal) and missing an “a” before “nd is topped”! I saw this on the train en route home last night and knew I had to have it for dinner. I loved it and so did my beloved, and it was easy to pull together. We’ll be having this for dinner a few times a year going forward. Thank you! I love crispy rice and this looks amazing! Having lived in Asia for over a decade I can’t get enough of the crispy rice from clay pot meals!! Slightly burnt rice sounds weird but it’s SO GOOD! Will try this recipe ASAP!! Clarification – for the vinaigrette, is it 1/4 cup oil + 1/4 cup sherry or rice wine vinegar? I was thinking of making a rice bowl so this recipe was right on time. Can’t wait to try it! I have made Bo Ssam with ginger scallion sauce (though I actually prefer Kenji Lopez’s “Ultra-Crispy Slow-Roasted Pork Shoulder”), and have found that heating the oil first, as is described in the link you have above to the classic Cantonese version, works far better (to my taste buds). I’m looking forward to making this crispy rice and egg bowl! Looks delicious but kids aren’t fried egg fans. Could I fry-scramble the eggs (as in fried rice)? This looks amazing and I have every intention of cooking some short grain brown rice today so that this can be dinner tomorrow. But, I have to know, what do you use to create such perfect strips of carrots? I read the comments above and saw I wasn’t the only one wondering! Off to purchase a kitchen gadget now! I am planning to use my food processor with the grating attachment. Wait, you ran out of pork before you ran out of everything else?! We must be doing it wrong because we made David Chang’s Bo Ssam for Thanksgiving this year and still have so much pork left in our freezer! Thanksgiving Bo Ssam sounds awesome! Let’s free ourselves of turkey tyranny. When we were kids, my brother & I always fought over bottom of the pot crispy rice. Everyone I’ve known at the international bank I worked who eats rice in their daily meals loves crispy rice, Asians, Indians, Persians. Blending raw egg & lard into hot crispy rice is also a favorite when I don’t like what my grandma serves during dinnertime. Hi Deb, what is the brand name of the julienne tool? Thanks! Oh my goodness!! As soon as I saw the picture for this I fell in love! I’m planning to add the ingredients to our list and make this next week!! I recently took your book out of the library, The Smitten Kitchen Cookbook and I can honestly say it that s now my favorite cookbook! It’s as if you knew my tastes exactly and write recipes just for me. Wow! That looks amazing! Do you provide shipping and handling? Threw this together for a quick breakfast this morning and ended up having it for lunch as well! It’s delicious, and now I feel all virtuous for piling on the vegetables! Really good and a surprising hit with my kids (9, 5 and 5), who actually complimented dinner, rather than complaining about it, in a brief but gratifying moment of triumph. Next time I’d keep some julienned carrots aside that aren’t tossed in the vinegar dressing described in the note before the recipe as they weren’t too keen on that part. Also, in case it’s useful to anyone wondering, I did not use a non-stick pan for the rice and it worked well, with no particular difficulty washing up the pan. The best line: ‘the whites are opaque, bubbly and dramatic.’ Thanks for the method. I have some leftover rice that will work perfectly! Delicious thank you, made tonight exactly to the recipe and it was perfect. I cooked this last night and my husband said it was the most delicious meal he’s ever had! It was quite a complement, as he’s a phenomenal cook. Thank you, Deb! I stuck firmly to the recipe (usually I tweak, but here I refrained) and ended up using a large grater for the carrots instead of julienning them, to save time. They were still very crunchy. I cooked this last night and my husband said it was the most delicious meal he’s ever had! That meant a lot, as he’s a phenomenal cook. Thank you, Deb! I stuck firmly to the recipe (usually I tweak, but here I refrained) and ended up using a large grater for the carrots instead of julienning them, to save time. They were still very crunchy. So delicious! We had leftover short ribs ala Samin Nosrat (her Netflix series is the bomb!) and we used that instead of eggs. Also added thinly sliced radishes. This made for an amazing and easy dinner. Thank you! Yummy! Veg comfort food – I make Chicken Fried Tofu comfort food for my vegan daughter! Freeze a tofu block to give it a meaty texture. Defrost or nuke to defrost. Cut into fingers. DIp in beaten egg, then dip in flour mixed with Lawry Salt. Fry in oil. Nice on salads. That looks so good! What is the name/brand of the tool that you used to julienne your carrots? 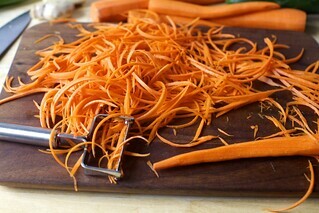 And is it as easy as it looks to make a pile of perfectly thin carrot strips? Whoops just saw this answered above. Thanks! “So good…so good…” is all I heard from my family when I made this tonight. I did everything (first time using my julienne utensil – bought it thinking it was a regular peeler – thank you) exactly as detailed (that dressing!) + some black sesame seeds (on the carrots), steamed broccoli, and a couple of black beans heated in soy sauce. EVERY RECIPE I TRY ON YOUR SITE TURNS OUT DELICIOUS. You need to add a mike-drop emoji after posting recipes, really. I almost always have black beans in my fridge. I love the “heated in soy sauce” idea; I have a hard time stepping out of Latin style foods with them. And I need one of these julienne utensils! I thought this recipe was fantastic. I had all the ingredients (even exactly 3 cups of leftover short grain brown rice) on hand, so it was meant to be. I spiralized the carrots, which was fun. Absolutely a make again. WOW. This is so good. Loved your NYT article! You are SUCH a good writer! Fantastic! Made a simple version this morning with leftover rice (mix of brown rice and a wild rice blend), egg, jullienned carrots and leftover chimichuri sauce. Exciting flavors and textures- delicious! This was another delicious hit for dinner, thank you! We made the eggs into a crepe-y omelette since family is not fond of runny yolks (sadly) and sliced it up. Added radish to the pickled veg. and topped our bowls with kimchi. Used long-grain rice, freshly cooked and dried a bit on a cookie sheet in the oven before crisping in a skillet. 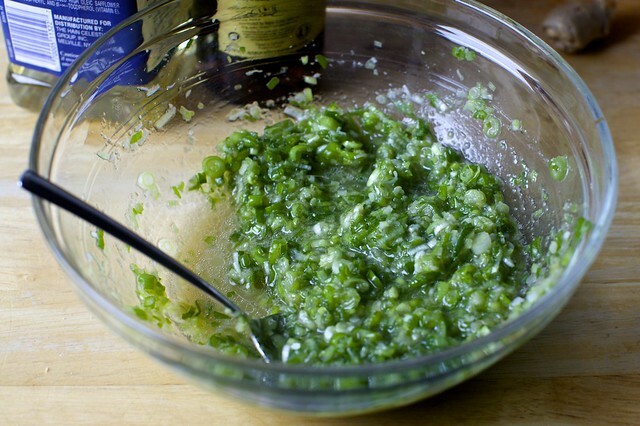 The scallion vinaigrette is amazing and will be useful on so many things! On to your pasta with baked tomatoes tonight and chicken fajitas tomorrow . . . This was AMAZING, so much more than the sum of the parts. Going to have the same again tomorrow night 😃 Thanks so much for sharing! Deb – Thank you! Lately I have been feeling like getting a decent dinner together is a drag and I haven’t been motivated to try new recipes because I can’t be bothered to remember to pick up those extra grocery items! But you reminded me that a good dinner can be as easy as picking up a few super common fresh veggies at the grocery store. This was really easy and delicious but I maybe…kind of think fresh hot rice would be better than the crispy?? Just my take! I also subbed in white wine and apple cider vinegars since I didn’t have any rice or sherry – seemed to work fine as long as you get the vinegary taste! Avocado was a nice addition too! Can you use Canola oil in the dressing? This is SO GOOD. Why is it so good?? I don’t fully understand the magic of this dish but thank you Deb for sharing it and giving it the hype it deserves! I made it pretty much exactly as written and it was perfect. I found the scallion ginger dressing really overwhelming. I think it is because I tried to go light on the rice and used leftover teriyaki chicken instead of an egg. The richness of the egg is needed to balance out the dressing. Next time I’ll do an egg but for vegans I think avocado would be a good substitute. And generous amounts of rice! Made this tonight. I really enjoyed it. Husband is a carnivore, so not quite as much. I thought it was tasty and unique and I absolutely loved the rice crisped in the skillet! There are several steps so I prepped a few things yesterday. I wished my serving had been a little bigger (oink), but just an FYI to bigger eaters, this might be more like 3 servings. I made this for dinner last night and barely any of the rice made it to my plate because I just stood over the skillet, eating the perfect crispy rice by hand. I used half jasmine/half brown basmati rice and it was perfect, and I made the rice day-of and had no issues. I crisped it in an iron skillet because I don’t really have a non-stick pan and it didn’t stick, so that was good! No carrots or cukes here so I used avocado and raw broccoli and it was super yummy. I had a slightly hard time making sure the egg was over easy enough, which I think is important because the fat balances out the acidity and saltiness of the rice and vinaigrette. Perfect “I have no meat thawed what are we gonna eat” dinner. I see that you are to salt the rice when frying it. Is your leftover rice un-salted? Just making sure! I always cook rice with salt, so I don’t want to over do it. PS – never commented here before, but I live in Papua New Guinea and love making things off your site. There are so many dishes I can make with items we have here (or at least with subs!). Thank you for being my go-to recipe blog! You.Have.Outdone.Yourself.With.This.Dish. I can’t stop thinking about it & I only just finished eating it! I was searching the web for something really delicious and I think I’ve just found it! Awesome dish. I made it just as written except with brown basmati rice, and it crisped up great. From marinating the carrots and making the sauce to slicing veggies, sauteing rice and then eggs…it definitely took more than 10 minutes, though! More like an hour. I’ll definitely make this again! Made this for dinner tonight. It hit the spot for a late in the week, weeknight dinner. I didn’t have cucumber, but did have avocado. I had left over rice, but it was mexican rice from the tacos earlier in the week. It all worked out and was completely delicious. The ginger scallion vineagrette makes it. A winner – the crispy rice makes it, and your instructions are perfect – I used red rice and it worked wonderfully. Thank you – I *will* repeat frequently! So glad I saw you post this yesterday—made it last night and it’s insanely good. My hubs and I wanted to share about our day but kept being interrupted by our own groans. So good! Permanent collection! I played around with this recipe and found that what I liked was the flexibility. In addition to using rice, I used 10 grain cereal and polenta. For vegetables I sauteed ginger, scallions and broccoli. So to me, what may be best about this recipe is that it encourages one to be open to going in different directions and eating a reasonably healthy meal. Thank you for being such an inspiration. This is WONDERFUL— I am on my 2nd batch of marinated veggies and dressing. Once you have that down, it is such an easy meal to assemble. And incredibly delicious! This was delicious! Thanks for the great recipe. I love your blog and use your recipes all the time. 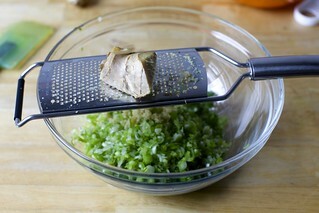 Are you using a regular microplane to grate the ginger, or a slight variation on same? Just wondering because whenever I try to grate ginger with my microplane I get something more like ginger pulp with ginger juice. Thanks! Oh, my, goodness! Looks like this would be a very comforting winter recipe to try (lots of snow over here) sometime soon. Looks delicious! What a fantastic plate to eat! It’s very similar to a dish David Chang makes at noodle bar, except he uses soba noodle. I quick-pickled the cukes and the carrots and added some shredded cabbage and it’s gone. I made it! There are only two of us, so I made as written and only crisped half the rice and two eggs the first day. Put the rest away for the next day when I crisped the other half. Just as delicious as the first day and it came together crazy fast the second day. Yummy! Great layers of flavor and texture. Loved this so much! I kept eating the rice out of the pan while prepping the accompaniments, and it took real effort to save any for my husband! Made exactly as Deb said, and turned out perfectly. Used basmati rice as that’s what was in the cupboard, and a cast iron skillet as my non-stick pan wasn’t big enough. The dressing is divine – used it the next day on a salad with some salmon, avocado, and carrot, and it was delicious. Soooo good! Indeed better than the sum of the parts. We added some steamed broccolini and some kimchi. Ate too much! This was delicious and easy. Thank you. We didn’t have any leftover rice handy so I substituted with some quinoa. I’ve been a big fan of your recipes for long time. We enjoyed this recipe for lunch and then your chewy oatmeal raisin cookies recipe for dessert tonight! Hey, this looks really nice! I’ll test it soon at home! I LIVE TO EAT FOOD AND ITS AWESOME…THIS IS LOOKING AWESOME….YOU ARE QUITE AN INSPIRATION…THANK U VERY MUCH….YOU CAN VISIT THIS SITE TOO..
Nice midweek supper! Used up vegetables in the fridge (scallions, carrots, cucumbers and red peppers), and had the whole thing ready in about 45 minutes, including cooking and cooling the rice out on the balcony in 16-degree weather. I made this last week, but we topped it with some roasted salmon instead of an egg (for a friend who was coming for dinner and had requested salmon). I made the rest of the recipe just as you wrote it: the pickled carrots, sliced Persian cucumbers, and added some sliced radishes too. I also added avocado and some lightly sautéed kale and some toasted sesame seeds (I just happened to have all of these things and thought they would fit). We set up a buffet with all the goodies and let people fix up their own bowls. It was one of the best things any of us have ever eaten. The scallion sauce was beyond amazing. It elevated the whole dish. Also: I can’t believe how delicious crispy rice is, or that I have never made it‽ My son is a rice fanatic, and he went crazy for this. We all enjoyed the leftover bits of crusty rice that we found in the pan long after all the rest of the rice was eaten. This will become a regular in our rotation. I am, in fact, making it again tonight. This time I’m topping it with tofu, since my guest tonight is vegetarian. I can’t wait to top it with a fried egg for myself! I made a variation of this for dinner last night and just wanted to say how GENIUS the rice crisping is. It makes for such a wonderful texture to contrast the toppings. Thanks for another great technique and recipe! This dish sounds great,but I would really like to know if Canola can be used. The ratios are better Han the oils suggested. I have 5 kids (and my mom is visiting next week). Would love to make this for a crowd of 8 (as a weeknight meal). Any tips/suggestions for doing so? Looks amazing! So glad I stumbled on this recipe! It looks delicious, and I can almost taste it myself through your great photography! However, my husband hates ginger. Does it have a strong taste/ smell in this recipe? Should I just leave it out or substitute for something else? I thought it was pretty gingery. I bet if you used less ginger and maybe a bit more vinegar you would get more of a scallion taste. Good luck. Oh my goodness. This was delicious. I made it as more of a fried rice dish than a crispy rice dish, but I used the dressing and put all the same fresh veggies on top and it was amazing! Woah! Crisp. Loved your recipe. Thanks a lot for sharing. Internet is full of content and it’s very rare that you get the ones you actually intend to get. I being a foodie started <a href= "https://www.friendsofpho.in/gallery&quot; Friends of Pho and the journey so far has been full of excitement. Thanks a lot for inspiring people like us. I have posted twice, Jan. 16th and 23rd, a serious question looking for a brief answer. You didn’t list canola as a neutral oil. It is usually thought of as a “ good” neutral oil so I wondered if it is acceptable or not. If not, why not. I used canola and found it was fine for this but got a little smokey at the higher cooking temp. Try it and see if you like it. Thank you. That is a good reason for grape seed. I didn’t notice any smokiness. I think it depends on your stove and maybe what burner you put it on. Who needs to go to the store when you can substitute with whatever is in the cupboard! Thank you. I made it using canola which worked. Mine didn’t clump, but it was delicious. I did buy short grain brown rice. Admittedly, I did not have the correct ingredients for the vinaigrette on hand…so I made a miso vinaigrette instead….. perfect supper for one! Thanks for the idea! The crispy bits of rice were really good, but the scallion vinaigrette was very, very overpowering — all I could taste was sharp, raw onion, despite letting it marinate a good 30 minutes before using. 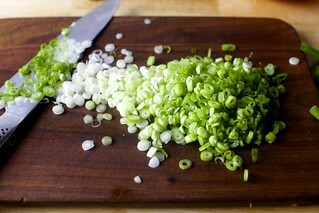 I don’t know if my scallions were particularly strong or what, but it was not good. We scraped most of it out of our bowls and enjoyed the rest. For those with Deb’s second cookbook, this is great with the ground beef from the bulgogi taco recipe! I totally relate about the fact that my left-overs never look as good as everyone else’s. This is definitely worthy of sharing and talking to everyone you know about. I have to make that sauce asap! Fantastic! So simple, and so delicious. This will be going into the regular rotation for days when I need a quick dinner (that happens a lot). This was delicious. I want to eat every day forever. I added some very briefly blanched broccoli florets. this was ridiculously good. like surprisingly good. like i dreamt about it the night after i made it good. I followed the recipe as written, except omitted the cucumbers because i don’t like them. QUESTION: I made this and it was delicious but my crispy rice didn’t hold together like yours did. Mine was still individual grains, crispy but not like your photo. Any idea why? Not enough oil? Heat? I let the pan heat up a lot before I put the rice in. I also put a little more oil in the pan then Deb suggested and added more on the second batch. Made this for dinner last night and was a hit! Loved the touch of soy on the top. Thanks for the inspiration!! I make salads from my Bo SSam leftovers with rice in them and they are amazing. Like sometimes I just make Bo Ssam just for the salad leftovers. So I feel you on this! No one believes me! The flavors in this were so delicious!! Definitely making this again. I made it with white basmati rice because it’s what I had on hand, and I would not do that again. For me it was just too tough/hard to chew. Next time I’ll go short grain, as the recipe recommends. We use many of your recipes on a weekly basis, but this is the first time I’m taking the time to comment because this recipe is frustratingly delicious. Like it has no right to be so tasty. The crunchy rice with the tangy dressing, plus the fresh cucumber and then the richness of the egg? Oof. How is it so good. Like, how. I made it last night and it was just a great meal! I’m always on the lookout for some new and very easy recipe to impress my husband with not too much work, and this was just perfect. I only had to substitute cucumber with zucchini, as this is not their season and they are hard to find right now, but the result was great and delicious anyway. Thanks for sharing. Oh, it was so delicious! Husband is the weekday cook at our house & I begged him to add this to our menu this week. AMAZING! This is definitely going to be in high rotation at our house. We used yellow and red hued carrots from our local farmers’ market & it looked almost as lovely as it tasted. Made this last night for dinner and we loved it I found the recipe very forgiving – in typical fashion I hadn’t planned ahead and subbed champagne vinegar and olive oil and my rice was fresh but it still turned out delicious. In the spirit of cleaning out the fridge, we ate with red cabbage sliced and sautéed in sesame oil with ginger and garlic. Next time I’ll try the quick pickle for the carrots suggested in the notes because I can’t say no to more pickles. I have been meaning to make this since it was first published and finally did it tonight. Wow this was so delicious, easy, healthy and a new staple! I made this alongside an eggplant that needed to get used – sauteed it with ground ginger, garlic, soy sauce, sesame oil and coconut aminos – it was delicious but the original dish is so filling it didn’t even need it! Loved the crunchy rice and fresh veggies, the bright dressing, and the yolky egg. YUM. I’d definitely think you can use other sauces you like. We love the miso-sesame dressing here, if you’re looking for inspiration. Your recipes are ALWAYS outstanding but this dish is truly unbelievable. My husband and I agreed that we must now make and eat this on a regular basis. Thank you for sharing your artistry, Deb! My eyes didn’t glaze over, you inspired me to make this and I did and it was fab. Thanks Deb. So simple, so satisfying, and so delicious! Thank you for an excellent weekday meal. Great quick meal here! Loved each component, also did the black sesame seed sprinkling for that extra color pop. I love crispy rice and this looks amazing and i will try it. We all lost our minds over this deliciousness-I wouldn’t change a thing. The ginger scallion dressing is *everything*. Ideas for other kinds of sauces without scallions to accompany this dish? One mentioned chimichurri which sounds great! I rarely comment on websites but I’m chiming in because my 8 year old son asked me to “rate this five stars”. I live in Los Angeles, where we have a restaurant called Animal (Jon Shook, Vinny Dotolo). My husband and I have been known to order their “Crispy pig ear, chili, lime, fried egg” twice in an evening. Deb, this rice bowl captures all the flavors of that beloved dish – and we just made it at home rather than paying $20 for it. Thank you!!! I love this! It’s on regular rotation. We sometimes add a fried tomato, cooked just before the rice, then set aside to add at the end. YESSSSSS bo ssam makes the BEST fried rice leftovers! I too make his recipe once or twice a year when I A) really want to wow/spoil/love on some friends, or B) have realized it’s been too long since I made it last and suddenly must. have. it. right. now. Almost better than the bo ssam feast itself is the second day fried rice with shredded pork, some diced kimchi and a dash of the kimchi juice, all topped with a fried egg and that awesome scallion ginger sauce. And now I’m on option B — haven’t made this in months and need to asap. This is literally one of my favorite dishes Deb. I’ve been a fan of your recipes and cookbooks for years! Just wanted to mention I like to add the baked tofu that’s in your roasted broccoli and roasted tofu with peanut sesame pesto (featured in your cookbook) for a more filling dish! Made a version of this that was incredible. Instead of cucumber, we used lightly sauteed green cabbage. We pickled the carrot and added thinly sliced jalapeno and garlic, as well as black sesame seeds and avocado. The result was delectable. This was so delicious. All four of my kids loved it and my 10 year old is already making his lunch with the leftovers for tomorrow. We added diced baked chicken. Thank you so much! I have made this approximately one billion times since posting, and have implored everyone I know to try it. I got lazy and now skip the frying of the rice and just sub in quinoa (fast, easy, protein if I skip the egg or lets be real just extra protein bc all the eggs all the time). I now just slather every veg in scallion ginger sauce and dance around the kitchen. Repeat like 4 nights a week because this is so easy to batch make. I really enjoy this dish. It led me to discover short grain brown rice. I sometimes skip frying it. Instead I spread it out and finish it in the oven at 325 or so. It crunches up quite nicely. Be sure to scrape the pan. I started because it wasn’t done after 45 minutes on simmer. This was fabulous! Served it with halibut rather than an egg with the scallion dressing on top!